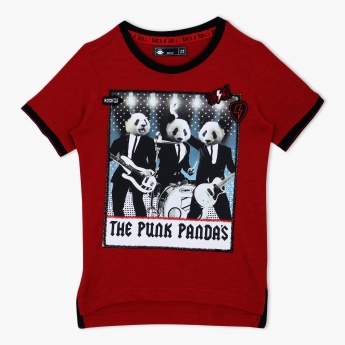 Printed with pandas, this lovely tee is sure to fetch you compliments. Designed with short sleeves and a round neck, the contrast-coloured linings stand out. 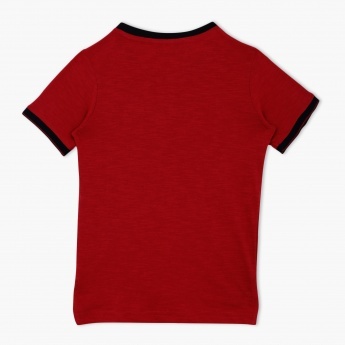 To make it different from other tees, it has a high-low hem as well.